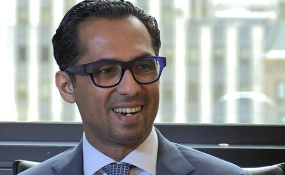 Tanzanian billionaire businessman Mohamed Dewji. Dar es Salaam — The abduction of Tanzania's top billionaire, Mohammed Dewji, may have been the first incident to have happened in the East African nation but similar occurrences have also happened in South Africa, Nigeria and Mozambique this year, data show. Mr Dewji was abducted on Thursday, October 11, 2018 at 5:00AM as he was walking into a gym at Colossium Hotel gym. Police have since launched a manhunt into the incident. A review by The Citizen shows that the top Dollar billionaire is the sixth to have been abducted on Africa's soil in 2018 alone, with South Africa accounting for the lion's share of the number. A similar incident took place in South Africa in March when businessman Shiraz Gathoo was kidnapped after the kidnappers organized a bogus police roadblock in March. He was released after spending five months in captivity in circumstances that were not made public even as pundits speculated that a ransom was paid to secure his freedom. The Sunday Times of South Africa reported in April this year (2018) that in three years, over 40 businessmen had been kidnapped in South Africa in a period of three years' with sophisticated syndicates demanding ransoms for their safe return. Again in March this year, another South African businessman who does business in Mozambique, Andre Hanekom, was abducted from a parking lot of the Amarula Hotel located in the northern side of Palma town, Cabo Delgado Province in Mozambique. Again in South African, a 65-year-old South African businessman Mr Liyaqat Ali Parker, was kidnapped in July this year (2018). The five kidnappers abducted Parker at the basement of his company in Parow' Cape Town. Mr Parker is the founder of the Foodprop Group' which owns the Foodworld chain of supermarkets. He is also a board member of Al Amien Foods and a non-executive director of Brimstone Investment Corporation. During the same month (July), the father of Nigerian professional player, Mikel Obi, Chief Michael Obi, was kidnapped hours before a World Cup encounter between Nigeria and Argentina. He was abducted in south-east Nigeria as he was travelling to a funeral along the Makurdi-Enugu expressway from Jos. Police in Nigeria were able to secure his release but Mikel said his father was tortured during a week-long ordeal. It was the second time that he has been kidnapped, with the first one being in August 2011. In August, Mr Sikhumbuzo Mjwara, 41, the owner of uMhlanga's upmarket Barrio Restaurant, was kidnapped by unknown people in South Africa. After more than a month of searching for Mr Mjwara, police arrested three suspects believed to be linked to his kidnapping. Mr Mjwara, a former eThekwini Municipality employee, owns stakes in a chain of businesses, including several mining, investment and lifestyle companies. Read the original article on Citizen. Copyright © 2018 The Citizen. All rights reserved. Distributed by AllAfrica Global Media (allAfrica.com). To contact the copyright holder directly for corrections — or for permission to republish or make other authorized use of this material, click here. Is Tanzania Back in Bed With Bretton-Woods Institutions?